Val's Quilting Studio : Tuesday Archives #188: SPRINGTIME! This week's theme is: "SPRINGTIME!" This week will find us celebrating Springtime! How do you welcome Spring? 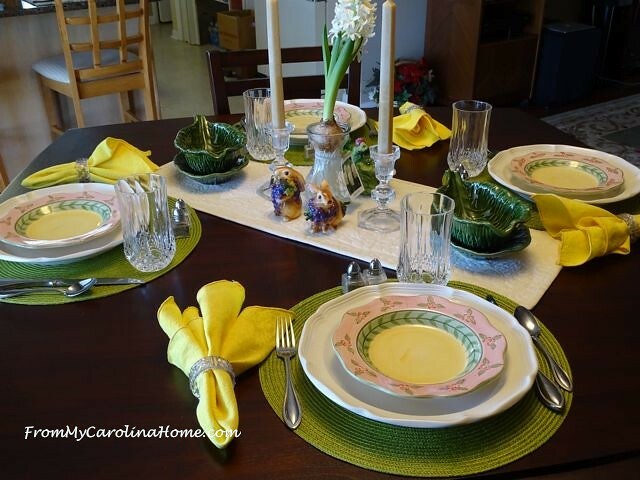 This is her Spring Tablescape from two years ago. Click HERE to read her entire post. Love the new blog banner! Too cute!! Thanks so much, such a surprise to see one of my tables on your blog!! I did chickens this year on the table. Working on lighter fabrics now too. I am sooooo ready for warmer weather!